You may be doing well with your small business, bringing in steady revenue. In the back of your mind, you may wondering if there are other ways to generate revenue and enjoy business success. However, as a small business owner, you may not have the bandwidth or funding available to develop a new product, acquire another company, or add locations. There is another way to smart business growth, and it’s known as the subscription service model. This model offers a number of benefits that make it a viable addition to your strategy. Here’s why. Having a subscription revenue stream can turn your cash flow from a trickle into a flood. That’s because you receive upfront payment in return for future delivery of a certain product or service over a designated period of time. Getting that money first means you can be assured of a certain amount of revenue before generating any of the expense that gets incurred with producing and sending that product or providing that service. This predictive revenue helps you plan for future purchases and outlays as well as manage your other non-predictive revenue. Another reason to consider a subscription model is that it’s on-trend with most consumers and even businesses. Most of us could not live without Netflix, especially once they moved to a digital delivery service. But, there are so many more subscription businesses that have appeared because consumers like the convenience, variety, and value they offer. Consider companies like NatureBox, which deliver monthly healthy snacks to homes and companies or prepared meal services or meat delivery services like ButcherBox. 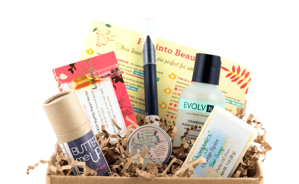 There are also subscription boxes for kids like crafts, or beauty and clothing subscriptions for women. Pets also have their own subscription options. There are even shave subscription services from companies like the Dollar Shave Club. Beyond those types of subscriptions, there are other content-based subscriptions that can be offered in terms of learning and skills courses, video content, photography, and more. If you use QuickBooks or Office, then you know that even software companies are using the subscription model for business. And, if you still aren’t sure if you can add a subscription service based on your product or service offering, there are more lists available online that describe lucrative subscription-based businesses. This revenue stream is not just for products. Even professional services can add this model to their small business, including companies that offer writing, web development, graphic design, UX solutions and more. While you may have thought a retainer or project agreement was similar to a subscription business, it’s not. The subscription model for a flat fee goes on with no end date until the user cancels it. Retainers and agreements have a start and finish date and may involve variable pricing but don’t necessarily offer the upfront revenue boost that a subscription model delivers. Clients and business owners benefit from the flexibility, the option to choose a subscription service level that matches budget, and a clear picture of what is involved in terms of work produced. Because it’s not tied to a project mentality way of thinking, the subscription model creates a longer view of the relationship for both parties. This helps everyone focus on building and nurturing the relationship rather than on completing the work. Your first step to get started with a subscription model is to determine if you have a product or service that can sustain an ongoing interest for your target audience. Or, you may examine the viability of introducing a complementary product or service that aligns with what you already offer, perhaps through a strategic partnership. This requires doing research, studying the market and demographic, and assessing any potential competition to determine differentiation and pricing strategies. You can survey your existing audience to test whether it would be something they would like. The due diligence is very similar to what you may have done when you originally started your business. Create a business plan just for this revenue stream to detail how you plan to develop, manage, and integrate the subscription service with your existing business. You will need to have a timeline, deliverables, and budget to also guide how your approach to subscriptions. From there, it’s a good idea to explore the technology available to help you automate much of the subscription business for you to make it efficient, low-cost, and less labor intensive. This includes a CRM platform to track subscription prospects and customers, sales and marketing tools, and automatic billing and payments. When you are ready to launch, start with a no-obligation trial that provides a chance to test what you offer so they can experience the value of your product or service and become vested in it. Create a clear subscription pricing guide that describes what each subscription level offers to build trust and attract more types of customers. Also, find ways to reward those that make upfront payments, such as the entire year, versus those that pay monthly. And, be sure to have many payment options available. When it comes to subscription services, there are also things to avoid. Don’t try to be deceptive by throwing in hidden fees or extra costs that appear later. All this does is ruin that trust and diminish your chances of keeping them as a customer or having them recommend you to others. Also, don’t assume that it’s instant results. It will take time to build the subscriptions and there will be churn over time. Just focus on exceptional communication, service, value, and the overall experience throughout the entire relationship -- not just when the subscription is set to renew!